It has been 10 months since I last posted something here.....ever since my grandfather passed away. Things are pretty much the same, except that we have moved to Singapore last December. Dear Hubby is a PR but my kids and I haven't apply for dependent passes. 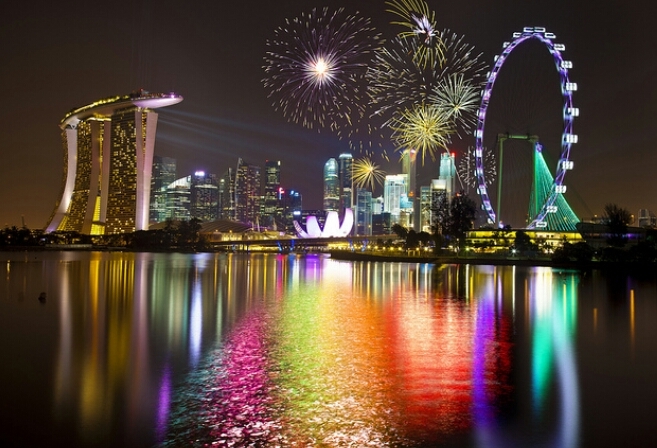 Therefore we can only stay in Singapore for up to a maximum of 30 days per entry. There is a reason why I am not too eager to apply for a spousal visa; there is nothing much to do here! Yeah... yeah... there are tons of shopping malls, east coast park, universal studio, sentosa island, blah blah blah. You see... I don't quite like to shop, and I don't like to walk. So shopping (or even window shopping) isn't exactly the thing for me. Singapore is a good place for vacation but not permanent stay. And how different is it from Malaysia or Indonesia, you ask? Very different indeed. K.L, Malaysia - I have my parents. They help to care after my kiddos when I need time off to do my mani and paedi, or facial, or body massage, etc. Not often, bu4t I get to indulge myself once a while. I own a car and I drive and therefore, minimal walking. I love bringing the kids to indoor playground/playland/kids gym (whatever you call it). It's affordable here and kids get to tire themselves out while I get some time to chill while they are playing. I have friends that I can yum cha and yum seng with. Jakarta, Indonesia - Car, driver, cheap maids, affordable trained nannies, cheap ciggies and beers, nice 2000sf home, cheap hair wash and spa, VIP treatments at all times. All within reach. What more can I ask for? Singapore - Good security, very systematic (perhaps too rigid at times), convenient public transport but everything is so darn expensive. I can't stop converting every prices to MYR, knowing that I can get the same item at a much lower price in Malaysia. DH is paying close to RM10k a month on rental for a 1100 sf condo. With that same amount of money, we will be living in a bungalow in Bangsar if we are in Malaysia. And with all the China workers, I feel more like in China than Singapore. But since DH is going to be based here for quite some time, I may need to apply for a long term visit pass soon.